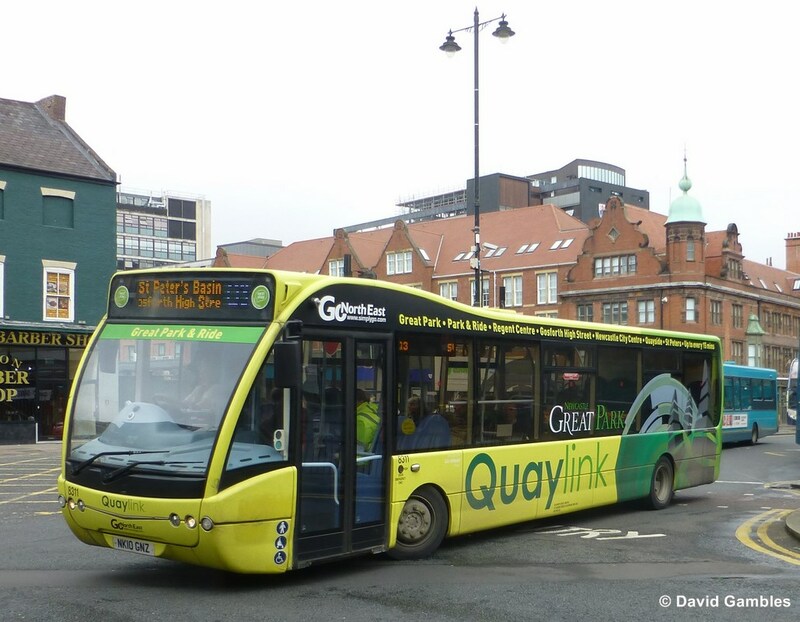 Since Go North East commercially registered the yellow Quaylink service after Nexus said they couldn't afford to run it, the service is thriving as passengers experience a more reliable service since it was revamped. It is bucking the general trend of falling passenger numbers by retaining its popularity – now making around 2.3 million customer journeys a year. The new Q1/Q2 services are keeping-to-time much better since Go North East revamped the services to operate every 15 minutes. On average almost 85% of buses are now exactly on time, up from 79% for the services they replaced. In recent months, the buses were given a fresh, eye-catching make over and new destinations were added to improve the service. Residents of the wider-Gateshead area and those living in Great Park and Gosforth are among those benefitting from the extended Quaylink routes. Q3 links Great Park, Regent Centre, Gosforth High Street and Newcastle city centre with the Theatre Royal, Guildhall, Law Courts, Ouseburn Valley, Hoults Yard, St Peters Basin and Spillers Quay. Quaylink buses run up to every 15 minutes during the day, and every 30 minutes in the evening and have audio next stop announcements. Focus Comment Here is a good example of how a commercial bus operator can turn a loss making service that Nexus had to abandon into a thriving service, giving passengers what they want by merging the service with other routes. Nexus have spent massive sums of money trying to take over all of the services within Tyne & Wear when in actual fact they don't have the knowledge and experience to so. The three major bus companies have invested millions of pounds in the north east area over the past few years and this continuing with a new bus order just announced by Stagecoach. Bus company profits are earned by offering passengers realistic fares and routes that serve their needs. In turn, the majority of the profits are re-invested back into purchasing new vehicles with no subsidies or hand outs required from the public purse, unlike the Tyne & Wear Metro which depends heavily on public subsidies.